AP and lateral views of the lumbosacral spine show classic changes of ankylosing spondylitis. Note bilateral symmetric sacroiliac erosive changes with sclerosis. Characteristically, delicate vertical syndesmophytes bridge multiple vertebra causing a “bamboo spine”. 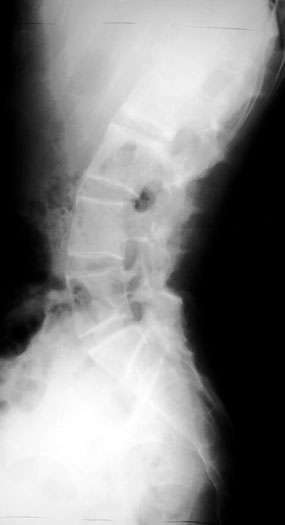 On the lateral view, annular calcification is noted causing the appearance of squared vertebral bodies.